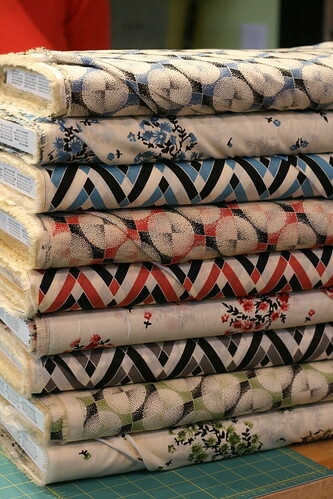 We have the entire line of Denyse Schmidt's Greenfield Hill voiles on the shelves. 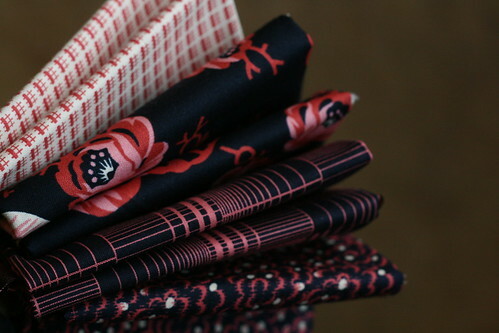 Plus, we are carrying four of the quilt weight prints (pictured at top). Powells is hosting Mary Adams this Sunday, January 16 to celebrate The Party Dress Book. The Modern Quilt Guild, including the Portland chapter, is hosting their 2nd Quilt challenge for Project Modern. This time the theme is monochromatic and includes some pretty great prizes. The 20% off Books and Patterns Sale will last until Sunday, January 16. We will not be restocking all of our inventory, so if you love it, get it!